Is your data center capable of handling powerful SAP workloads and enterprise-class applications? Even if you think so now, you might not truly be reaping the max performance you’re capable of achieving due to underlying outdated hardware. 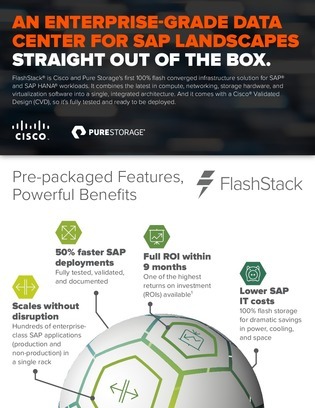 Download this resource to improve availability and performance of SAP and SAP HANA workloads with an all-flash converged infrastructure, in a single integrated architecture. Read on to achieve zero downtime when modernizing SAP infrastructure, app scaling without disruption, 50% faster SAP deployments, and more with this infrastructure.